Juba, 21 November 2017: The conflict coupled with the country's worsening economic crisis have more than doubled the cost of delivering water, sanitation and hygiene services. Lack of access to clean water and sanitation is a public health concern in South Sudan. 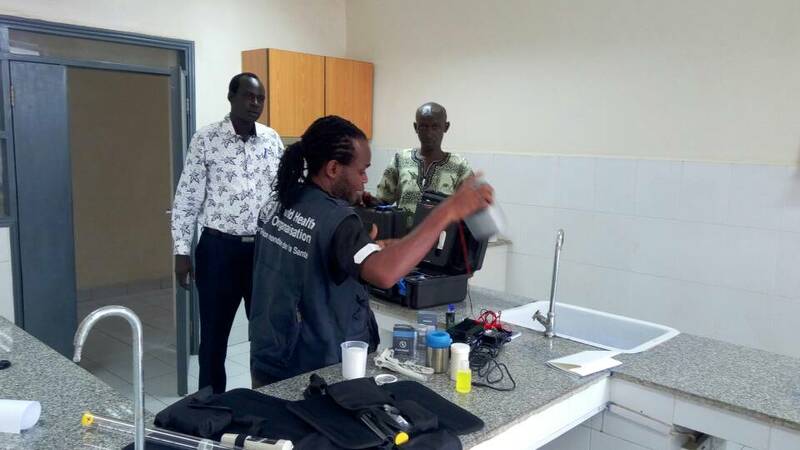 To ensure high quality, sustainable water quality testing, monitoring and surveillance, WHO provided mobile water quality and safety testing kits to the National Public Health Laboratory to establish water quality control testing hub within the national public health laboratory in Juba. The hub will be used to test and monitor the quality of water in order to determine the status of water quality and safety in the country. This will also help to raise the profile of water quality issues on the national development agenda and encourage the Government of South Sudan to incorporate water quality into national development goals by raising the awareness of policy-makers and practitioners both within and outside the water sector on critical linkages of water quality with other development challenges. “Good quality of drinking water is essential for human life!”, said Mr Alex Freeman WASH Focal Person for WHO South Sudan. “It is necessary that drinking water sources should be tested regularly to know whether water is meeting the prescribed standards for drinking or not”, Mr Freeman underscored. Clean water is vital for health and sanitation, but it is rare in and near the cities and even near some of the smaller villages. Most South Sudanese use whatever water they can find, and sometimes that water is unhealthy, at times even deadly. Currently, less than half of the population has access to safe drinking water which is also arguably exacerbated by improper human waste collection and disposal systems, both of which lead to infectious disease outbreaks. Experience from around the world shows that incidents from water-borne diseases are much higher for children living in rural settlements, compared to those in urban areas with adequate sanitation and water supply. In South Sudan, the risk of a cholera outbreak is high because of population movement, overcrowding, inadequate hygiene and toilet facilities, limited access to sufficient and safe water, risk of food contamination and unsafe practices in handling and preparing food. Since January 2017, 16,706 cholera cases and 378 deaths (CFR 2.3%) have been reported from 24 Counties. Contaminated drinking water may also cause Dracunculiasis, or Guinea Worm disease which can rapidly affect a water sources by just one infected person, increasing the risk of transmission to a wider population. The demand for water increases, but its availability to the country's inhabitants continually remains low. 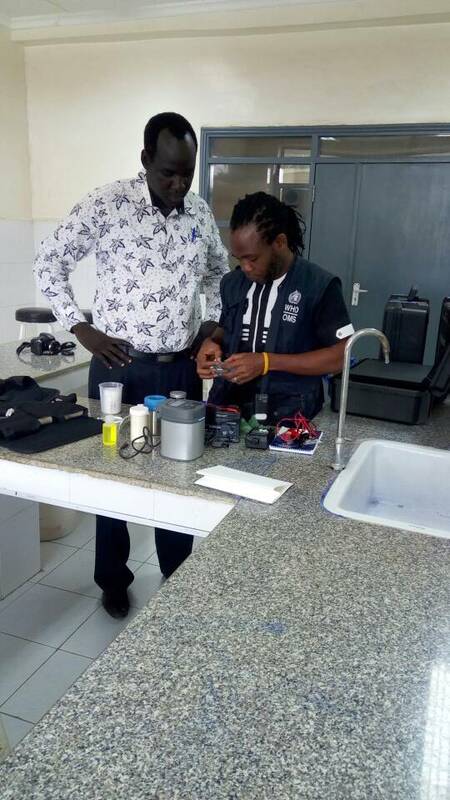 Out of the six water treatment centre in Juba, only two are functional with limited supplies including fuel to keep the power going. The most effective means of ensuring safe drinking water is through the use of water safety plan which effectively utilizes water quality data in planning preventive and corrective actions”, said Mr Evans Liyosi, WHO Representative a.i. for South Sudan. 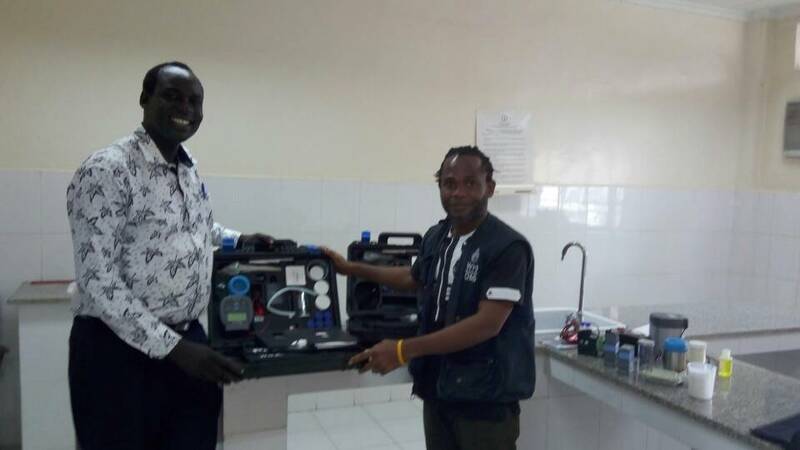 As part of the cholera response and in view of the requirement of preparing uniform drinking water quality monitoring protocol, WHO trained and deployed 32 health care workers to establish mobile water quality testing, monitoring and surveillance in seven high risk areas with high cholera cases. The areas include Juba, Tonj East, Kapeota East, Kapeota North, Kapeota South, Yirol East, Renk Yirol East and Mingkaman. WHO appreciates the generous contribution of the South Sudan Humanitarian Fund in helping South Sudan’s emergency preparedness and response,” said Mr Liyosi. 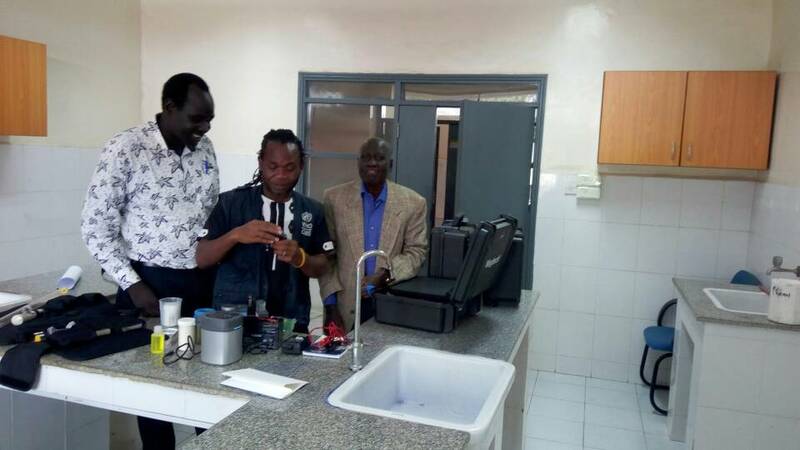 To improve the health of the South Sudanese by ensuring high quality, sustainable national water quality testing, monitoring and surveillance. WHO is committed to strengthening the national public health laboratory for regular testing and documentation.